We went to Sinaia for the day to see the Peleș and Pelișor castles, which are perched high on a hill above the city. The train ride was nice, and the city itself had some really cool alpine architecture (big sloped roofs, etc), although it was a bit run-down. My guess is that it used to be a popular resort town in Soviet times but it has let itself go a bit. Since we only had a few hours, we immediately began the hot trudge uphill to the castles. We spent about 30 minutes walking around the beautiful gardens and posing with the statues outside. Heading in, we discovered that both castles were closed because it was Monday. Whoops, we should have looked first! Anyway, the grounds were nice and it was fun to walk through town. To kill a few more hours, we decided to ask about the cable car and were told (in broken English) that it was open and that we could get to it. We asked several people for directions and ended up walking up a really steep set of stairs and a long windy road. Realizing we couldn’t be on the right track, we went back in town a bit defeated that we didn’t get to see anything we came for. But, some days are like that while traveling. On the plus side, we stopped at a good British pub that made delicious bourbon-marinated chicken wings! 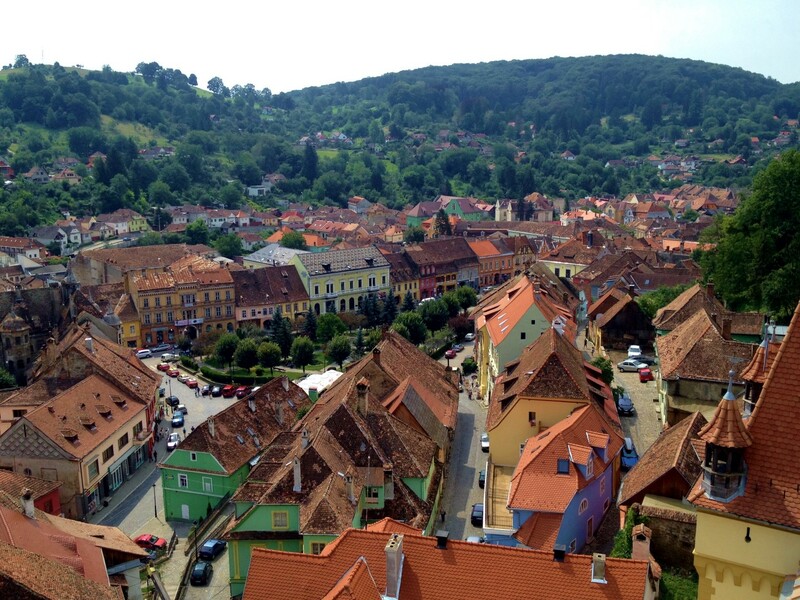 We spent one day in Sighisoara, which turned out to be more than enough. The town itself is made up of the upper town, which is contained within the citadel walls, and whose highlight is the “church on the hill”, and the lower town, which is everything else. There was really nothing to see in the lower town, except for a few brightly painted buildings. In the upper town, we spent a few hours walking around to the highlights, which were the 9 standing towers from the citadel, including the clock tower, which you could climb to the top of. It had some decent views but nothing spectacular. Plus they were really aggressive about enforcing the no-photos-without-paying rule, as they had a guy working just to check people’s cameras. The church and the rest of the city wasn’t that impressive, but we did enjoy watching a wedding photo shoot in the center of town. The bride was posing in a lot of ridiculous poses, but the best was when the photographer brought out a remote control helicopter with a camera attached, and filled several romantic action sequences. It was pretty amazing. 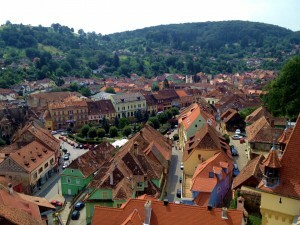 Cluj is a much bigger city than the others, so we spent a few days there. Sara actually met an American audiologist at her conference in Oxford who has been living and practicing audiology in Cluj for 8 years, so we spent a lot of our time in town with her. She and Sara did several audiology-related things, including visiting a cochlear implant patient and seeing a couple of patients at her office, which was nice for her. We also took a trip to the unfortunately named town of Turda, which was a lot of fun. 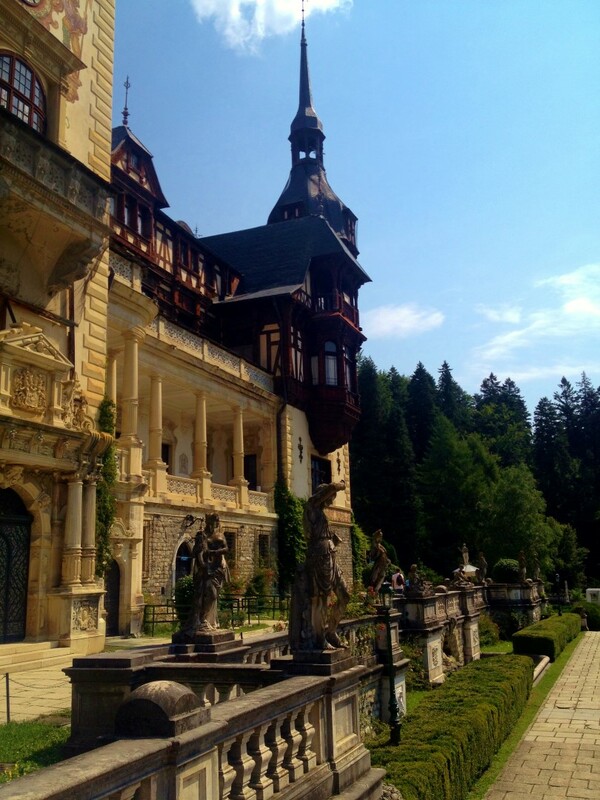 First, we went to the super-touristy Dracula Restaurant, which was at an incredibly elaborate hotel that was built to look like a castle and had a lot of dead animals on the wall. Very Romanian. They had some delicious food, including an entire menu of Vampire-related items. They also had a meat platter made up of entirely wild game sausages, including venison, boar, and bear. Yes, bear. That was killed by the owner of the hotel. We aren’t entirely sure that’s legal in Romania, but we know there are a lot of bear attacks, so we’ll assume it was in self-defense. 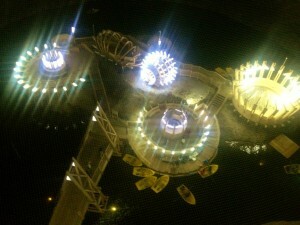 The other place we went was the Salina Turda salt mine, which has been converted to an entertainment and fun-zone. Yes, it was bizarre. Basically, they no longer use the mine, so they installed a ferris wheel, ping-pong tables, a bar, and a lake that you could take row boats out on. It was actually rather tastefully done, and we had a pretty good time 25 stories underground. The Alba Iulia citadel was definitely worth a visit! 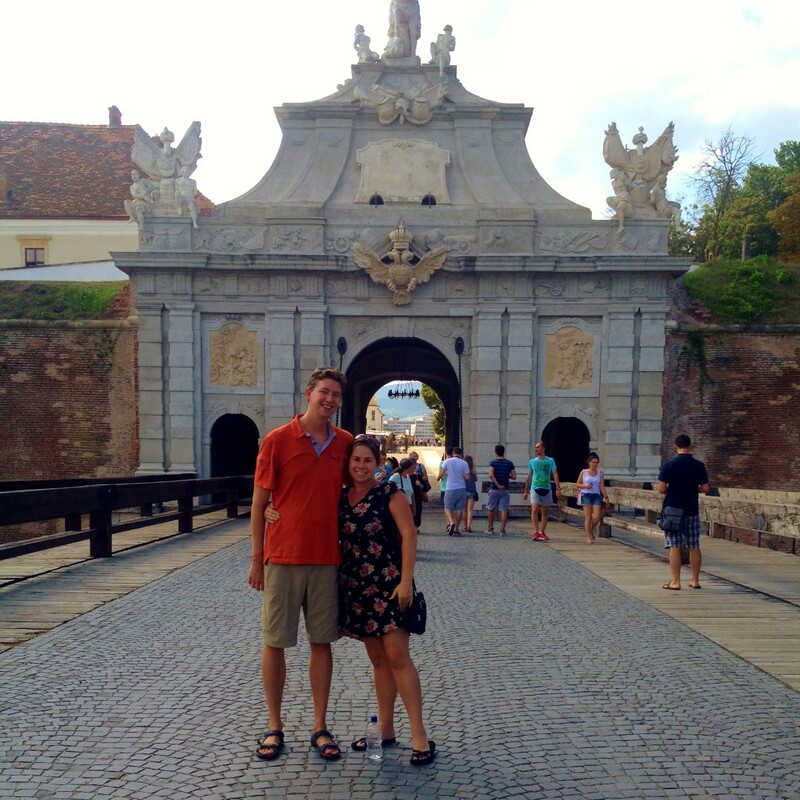 Alba Iulia was our last stop in Romania before taking the overnight train to Budapest, Hungary. While I think we were both ready to leave, we made this one last day trip since our train didn’t leave until 1:45 AM. Alba was actually a pretty cool town to hang out in. They are also known for a citadel, but unlike SIghisoara, this one was actually big and imposing and felt like a real structure you’d use to defend a city. We had a very pleasant stroll and it was worth seeing for a day. The rest of our time there we spent hanging out in the city itself. There was a nice park outside of the citadel walls, where we joined all the old Romanian men and played cards for a while (they didn’t actually talk to us, except for one really bored guy who just said, “poker?” – he didn’t get what Rummy 500 meant). We also caught a nice nap in the shade of the city walls, and had a nice dinner and some drinks on the main café and bar street in town. Overall it was a fine way to kill a day, and a pleasant and successful end to our time in Romania.